Canopy Biosciences said it has exclusively licensed technology for error correction in next generation sequencing (NGS) from Washington University in St. Louis. 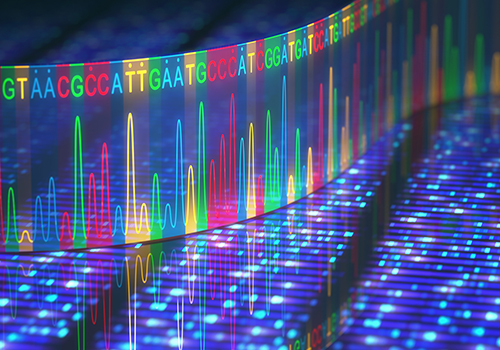 The provider of gene editing and gene expression products and services said its license includes both a novel method and bioinformatic tools that combine to significantly improve the level of detection in NGS, allowing for the identification of ultra-rare gene variants. Originally developed as an ultra-sensitive method to detect residual disease in pediatric leukemia, the error corrected sequencing method uses unique molecular index (UMI) technology to help differentiate rare genetic events from errors that may have occurred in the sequencing workflow. According to Canopy, the technology’s utility goes beyond clinical applications—to include research that has already unveiled gene variants that have been validated, providing new insights into aging, cardiovascular disease, and cancer. Canopy expects to launch a service based on the license by the second quarter of this year. “Canopy is a great team to bring this technology to market,” added co-inventor Todd Druley, MD PhD, associate professor of pediatrics, hematology and oncology at Washington University. RNAseq, enabling users to assess the expression of >20,000 genes, determine efficacy of single or combination drug studies, and examine expression differences between primary and metastatic tumors. Meso Scale Discovery, allowing users to assess multiplexed protein expression in a wide variety of sample types. Users can multiplex up to 10 analytes in a single sample. Druley was corresponding author of a study published February 3, 2015, in the Nature-published journal Leukemia. The study showed that error-corrected sequencing (ECS) successfully identified leukemia-associated mutations in banked pre-leukemic blood and bone marrow from patients with therapy-related acute myeloid leukemia (t-AML) or therapy-related myelodysplastic syndrome (t-MDS). “Our results highlight the ability of this method to identify rare subclonal populations in a heterogeneous biological sample. As applied to t-AML/t-MDS, we show these previously undetectable mutations are present years before diagnosis and fluctuate in prevalence over time,” Druley and colleagues wrote. “For patients whose leukemia lacks suitable markers for conventional MRD [minimal residual disease], ECS could offer an alternative with comparable sensitivity and specificity that is easy to implement in a clinical sequencing lab,” the authors concluded.